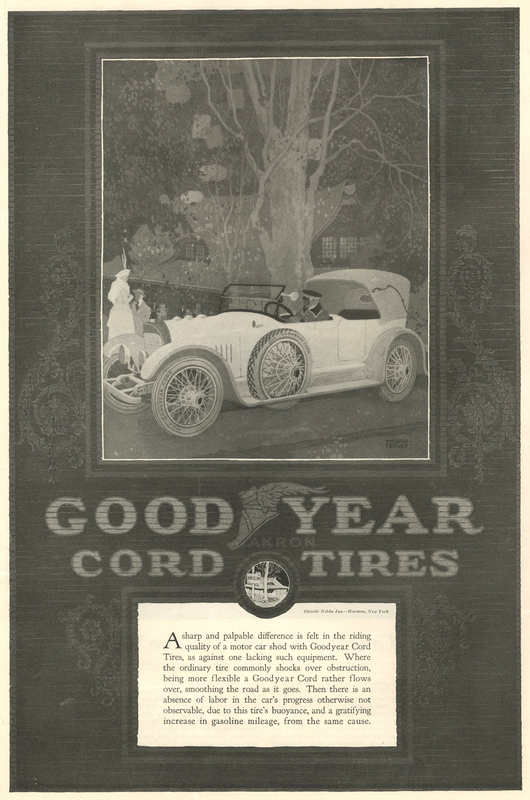 In a previous post we displayed two ads from 1917 for Goodyear Cord Tires, featuring detailed pen-and-ink drawings of Nikko Inn. These clever bits of Jazz Age cross-promotion appeared in magazines ranging from the Atlantic Monthly and The New Country Life to Travel and Forest & Stream. Tiny detail from the Ladies’ Home Journal ad. Now we’ve discovered a much more elegant ad from the same campaign, which ran in the December, 1917 issue of Ladies’ Home Journal. 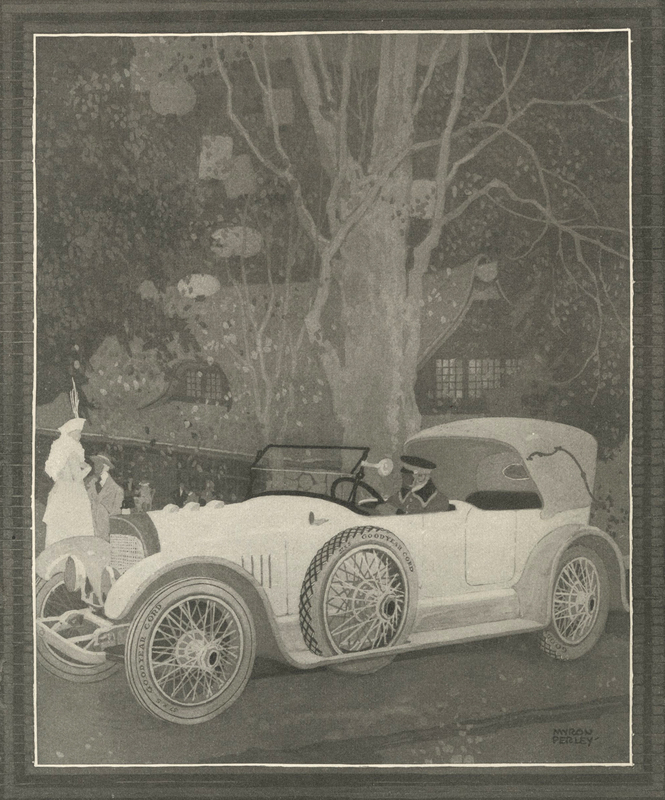 The art was created by Myron Perley, an illustrator and art director who is remembered today for his work for the Pierce-Arrow Motor Car Company. Unfortunately the image of the Nikko is hard to discern in the background. We suspect that the art was done in full-color and published here in black-and-white to save money. Maybe another version will turn up and we’ll get to see the Nikko in full-color glory. 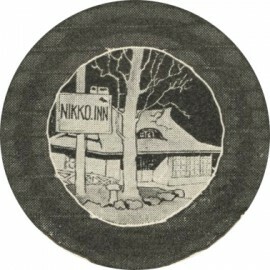 For more on the Nikko, the Mikado and Harmon’s rich history, see these previous posts.